This guide looks at exploring the modem Internet and Wi-Fi setup for the Netcomm NF4V modem on a VDSL connection. There are two methods in completing the modem internet setup here and we have provided details for both. 1. Firstly, connect your modem to your computer using an ethernet cable as shown below. 2. Open your web browser (Internet Explorer, Google Chrome, Mozilla Firefox or Safari) and type in the address bar 192.168.20.1, then press "Enter" on your keyboard. If admin does not work as the password, please try the last 6 characters of your MAC address. This information is located on the bottom of your modem. 4. Once you have successfully logged into the modem interface. Click "Basic Setup", select "VDSL" and click "Next". 5. In the new page select the WAN mode as “PPP over Ethernet with VLAN Tag 10" and click "Next". 6. Enter the internet Username and Password provided by Flip. If you do not know your username and password, please send our team an email at support@flip.co.nz and we will assist you further. 7. Finally, click “Next” and try to access a website to test your internet connection. 1. From the home page of the modem interface, select "Advanced Setup". 2. Choose "WAN Service" from the available options. This will show all the internet profiles saved on your modem. 3. Tick all the boxes in the "Remove" field. 4. Click the "Remove" button. 5. Next, click "Add" and we can then create a new VDSL internet profile. 6. Select "PTM" as the WAN Service Interface Configuration. 8. Select "PPP over Ethernet (PPPoE)" as the WAN service type. 9. Adjust the "802.1P Priority [0-7]:" to 0 and the "802.1Q VLAN ID [0-4094]:" to 10. 11. 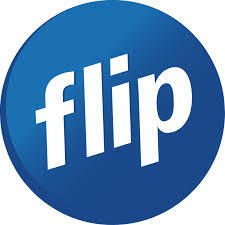 Enter the Internet Username and Password provided by Flip in the PPP Username and PPP Password fields. If you do not know your username and password, please send our team an email at support@flip.co.nz and we will assist you further. Leave the "Authentication Method" as AUTO and the "MTU" value as 1492. 12. Scroll down to the bottom of the page and click "Next". On the following pages, keep scrolling down to the bottom and clicking "Next" without making any changes. You will lastly reach the "Apply/Save" button on the WAN Setup - Summary page. Click "Apply/Save" and then try testing your connection.